I’ve been to Rogue Ales and Spirits brewery in Newport, Oregon. The beautiful fishing burg (where those seals never stop barking) exudes a rich free spirit that Rogue captures perfectly in its beers, sodas and liquors. Right now, you can actually win a free trip to Newport via Rouge’s Raise the Dead Guy Contest. 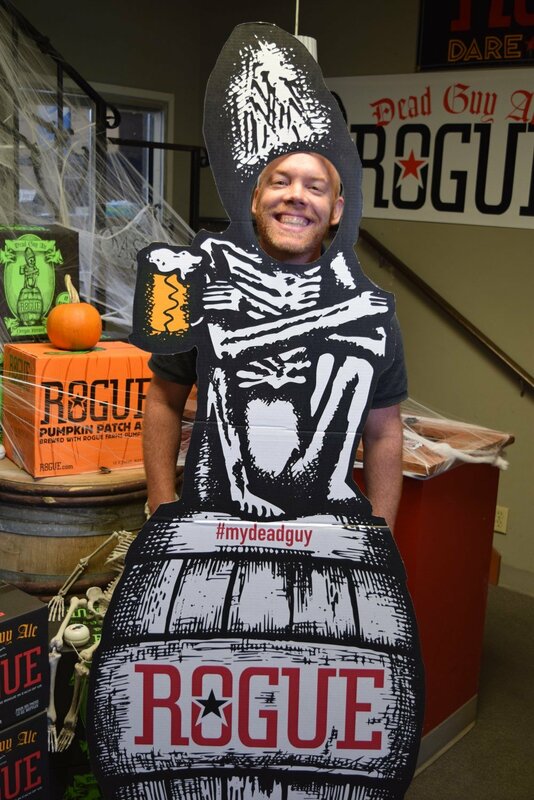 All you have to do is submit a photo of Dead Guy Ale, Dead ‘N’ Dead or Dead Guy Whiskey on Instagram or Twitter and include the hashtag #RAISETHEDEADGUY and tag @RogueAles. On top of that grand prize, each day in October “the most Rogue photo” will win a “killer” Dead Guy prize package based on votes. Ask your friends to vote for you because you deserve free stuff and the photo with the most votes by November 15 gets the grand prize. Enjoy my photo.